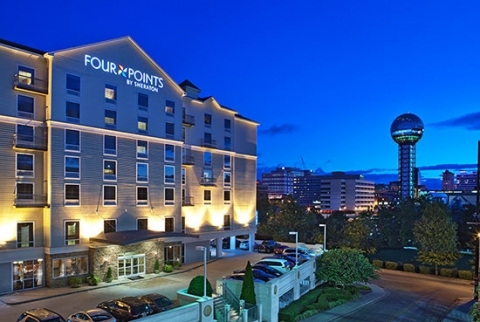 You will stay at the Four Points by Sheraton, Knoxville Cumberland House Hotel in downtown Knoxville. We will make hotel reservations once you register with us. If you are not able to drive to UT, we will help you make alternative travel arrangements once we receive registration information. A complete “UT Travel Reimbursement Information Request” Form. The information will be entered into Chemistry Department online system and a personnel number will be requested for each guest (this process usually takes about 1 week). We can forward this to you through e-mail. If the you are not a US Citizen and/or do not have a social security number, we will need a copy of your passport and visa. If you are flying, please upload your E-ticket receipt while filling out UT Travel Reimbursement Information Request Form. Or you can email the E-ticket receipt to our travel admin Terri Galyon. The E-ticket receipt must show the flight itinerary, total price, method of payment, and class of service (must be coach/economy). A list of all expenses and original receipts for all expenses over $10. Download expense list form here. Before first event, you will be asked to sign on T-6 form. Guests can expect a check in the mail to the address they provide in the UT Travel Reimbursement Information Request Form within about 3-4 weeks once their trip has concluded, they have turned in all the required information, and our travel manager has submitted their request for reimbursement to the Treasurer’s Office.